Angling On The Fly works closely with premier outfitters and lodges to secure prime weeks at destinations around the world. 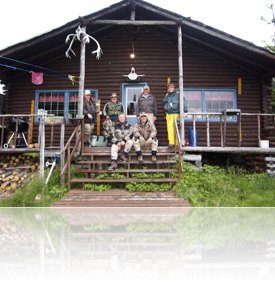 We understand that many travelers enjoy the camaraderie of fishing with other like-minded passionate fly anglers. Also, the hosts on these trips provide guidance and expertise on the fishery and tackle preparation. Please feel free to contact us if you have specific questions about these trips or if you would like to reserve your own private booking at these fine destinations.